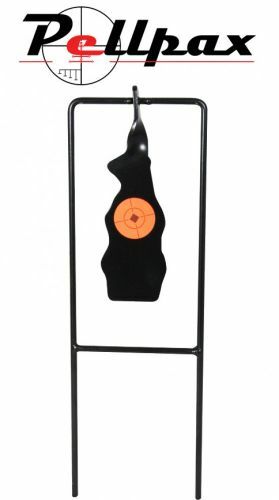 This target stands at 20cm tall and is great accessory not matter what skill level you are. The spinning rabbit allows you to clearly see when you have or haven't hit. The Target is in a bright orange color making it clear and easy to see even at long ranges. Having a solid steel build the spinning target is very durable prolong the life and allowing use after use. The auto Reset feature mean you don't have to walk and no cords are needed. Measuring 6cm x 13cm it is a very handy target that folds flat for easy transport.